Margaret Thatcher becomes the first woman to be elected Prime Minister of the United Kingdom. Jimmy Carter is president. Pat Summerall and John Madden broadcast a game together for the first time. 43 million watch “Elvis!” on ABC. And a new organization that will evolve into the Center for Nonprofit Advancement is launched. 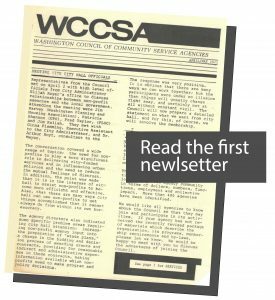 The Washington Council of Community Service Agencies (WCCSA) is formed by a group of nonprofit “agencies” that recognize the power of collaboration. They come together to make their needs known and their voices heard, to increase effectiveness and efficiency by sharing resources, to take joint action on issues of mutual concern. Just as the Center continues to do today, the Council provided support, information and educational services, working to achieve high standards in program quality and management. The Center has been rocking it for 40 years. Today, as nonprofits continue to face new challenges, we plan to broaden our outreach and support even more. Help grow our membership and reap the reward! 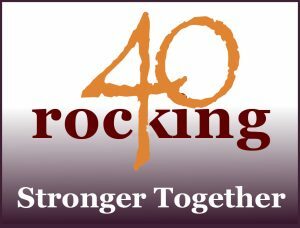 As part of our 40th anniversary celebration, we’re launching a membership drive #Rocking40withtheCenter. If you know of nonprofit organizations that would benefit from Center membership, please encourage them to join! For every nonprofit you refer that becomes a member, the Center grows stronger, the new and current members benefit more, and you get rewarded with a $40 gift card to Starbucks. On April 2, 1979, representatives from the Council take the first step toward stronger relationships between nonprofit agencies and the local government, by meeting with high-level officials from City Administrator Elijah Roger’s office. Read all about it in the first newsletter.